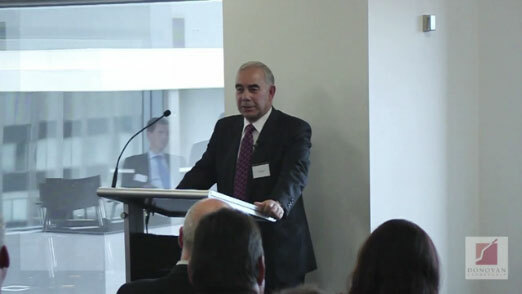 The final exclusive leadership conversation for 2011, featured NAB board director, Paul Rizzo. This was another great opportunity to hear a practical view of leadership from a highly respected business leader in the company of other senior business and community leaders. Paul is a distinguished leader who has made a number of significant transitions in his career and he continues to take on new challenges. Paul shared some of the important career transitions he has embraced, his own leadership journey and the defining points in his career. Paul Rizzo – Leadership Conversation from Brian Donovan on Vimeo.